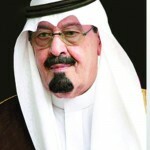 King Abdullah, the ailing monarch of Saudi Arabia whose country is playing a power game with its oil. Are we to believe that the Saudis , who have let the US take least 2/3 of their wealth from oil and have long feared a revolution that would have happened in their country if not for their U.S trained secret and not so secret police, are in control of the price of oil? Ridiculous. Obama has crashed the price of oil in a desperate attempt to somehow overthrow Putin. Putin stands alone in his prevention of the USA’ s conquest of Iraq, Syria,Iran and the world. So despite the great hardship caused by the price of oil, this seige of Russia will continue till the end. And woe to the countries, like France just recently, who try to bring fairness and intelligence to this oncoming disaster to the world. Heh, heh, the very highly notorious Washington-Riyadh nexus of human evil now trying to upend our world oil markets in order to spite its rivals will be held fully RESPONSIBLE when the price of petroleum goes up like a flying rocket causing total chaos and bloodily violent street protests in many countries around the world (sometime) in the future. Russia should hurl a few thermonuclear warheads at the Riyadh’s lair when the expected violence takes place and then spins out of control ! ! ! These are true but the pain it will bring to renewables is very big plus for us republicans in accomplishing what they want –the price of gas is down and some do not look much further– this is their base. The us will support the saudis no matter what because this is securing the petro-dollar and preventing other currency exchanges –remember, one of the big reasons Saddam had to go, maybe the ONLY reason was that he was going to stop trading in dollars. If that happens the us is done for, That is why the criminal big banks are supported no matter what their malfeasance is –they have total control of the us by this process of the petro-dollar through them. This is why us banks no longer serve the national us community, or as a 2ndary interest.